When my kid was ready for her first bike I was all for training wheels while her dad was certain that a balance bike was the way to go. Being the avid mountain biker that he is, he won that one and I am glad he did. My very uncoordinated little girl, who could barely run without falling over, quickly got the hang of it. If you have a toddler eager to set out on their first wheeled adventure then get a balance bike. 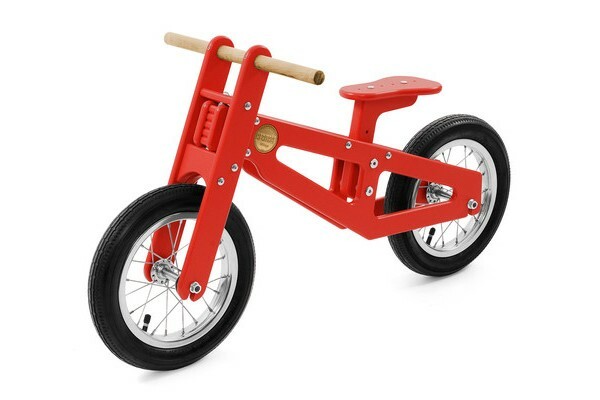 Make it a Bennett Balance Bike and you’re also teaching them the importance of looking after our environment because this beauty is made from recycled milk bottles. Taking away the gears and chains and getting back to the basics, your little foot-powered cyclist will learn the key to staying upright and finding their balance. Heritage’s The Bennett Balance Bike – Recycled Milk Jug is good for kids as young as two and the adjustable seat will comfortably see them through until the age of five or six, when they are ready to graduate to pedals. The bike is said to take design cues from Chicago’s bridges with input from Loll Designs and the rather impressive Arlan DeRussy. 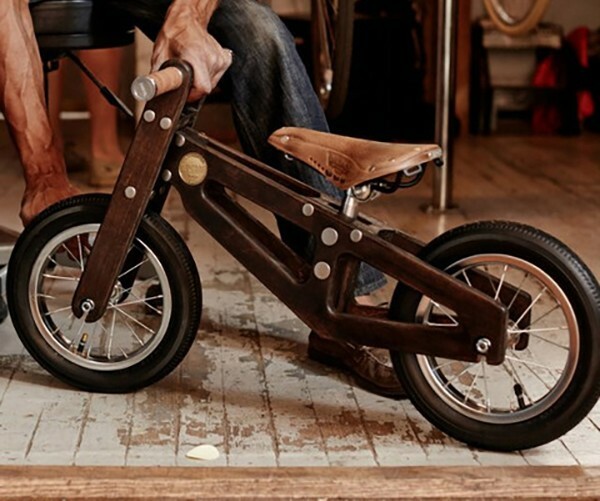 Not only has this bike got a slick design, but it has been created with a comfortable low seat for little legs and easy-to-reach handle bars. A first bike is one your child will never forget and may set up a life long love of cycling. With this in mind, Heritage offers the bike in a variety of gorgeous colours as well as the truly designer Legacy model (US$430) which includes a world renowned Brooks Saddle which can be moved from bike to bike throughout their life. There’s also a wooden version for true hipsters. The Bennett Balance Bike – Recycled Milk Jug can hold up to 22 kilograms in weight and can be purchased online from Heritage Bicycles for US$270. The wooden version with padded seat costs US$450.